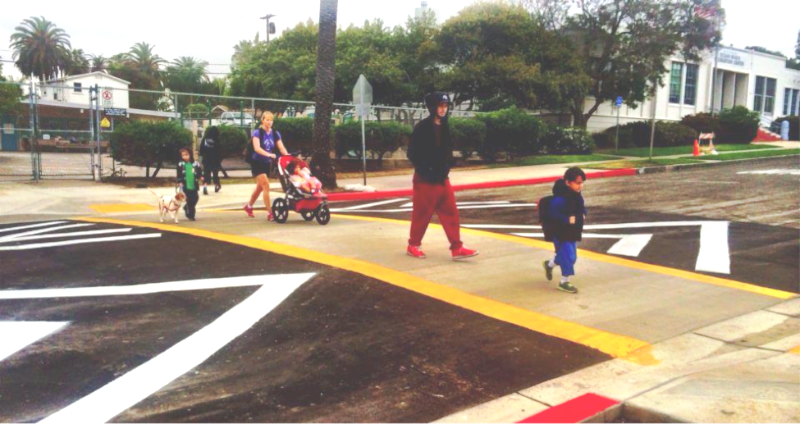 OB Elementary School Crosswalk Finally Opens! The long-sought-after crosswalk for school kids on Santa Monica Avenue is finally installed. It took over a week of construction – and several years of organizing – but OB Elementary School has the mid-block addition. We anticipate that the lease will be executed in the next few weeks. Break ground should be in early summer after the City issues construction permits. CVS plans to open the store before year-end. 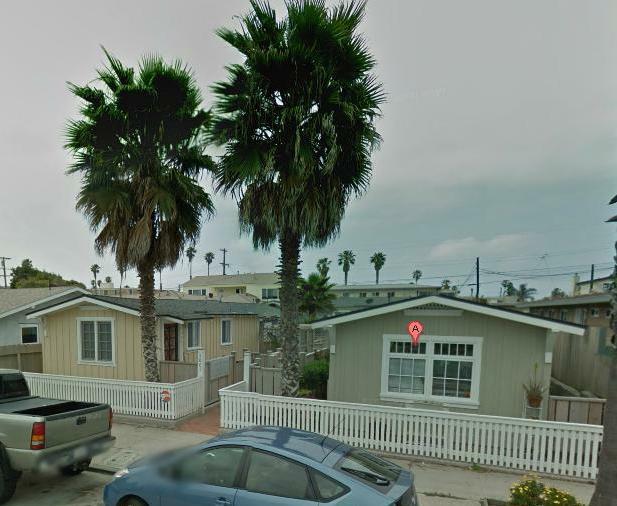 Seven cottages containing eight residential units in Ocean Beach at 5065-5071-1/2 Brighton Ave., San Diego 92107, have been sold for $1.6 million, cash. Bacon Wrapped Jalapenos for Easter? Mayor Faulconer’s budget plan funds an additional 203 hours of library service hours per week citywide. It restores core branch library hours to 48 hours per week for the first time since 2003 and strategically expands library services on weekends. 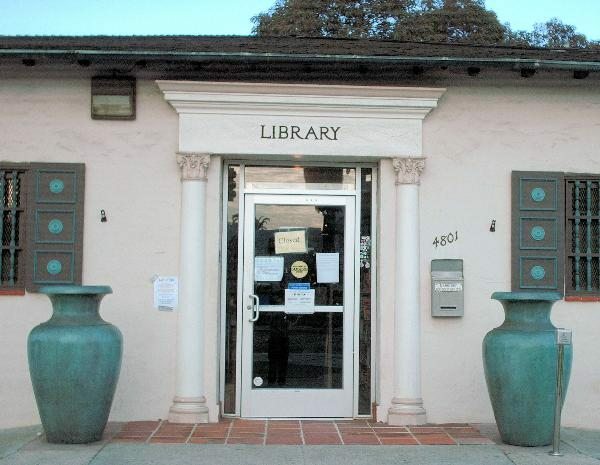 Every branch library in San Diego – including the OB Library – will add 4 service hours Monday through Saturday. In addition to these hours, 12 select branches will extend hours on Saturday and Sunday. The central library will add 5 hours per week. 8 branches currently open on Sunday added 3.5 more hours (3 hours on Saturday, .5 hour on Sunday) and include the Point Loma/Hervey Library branch. OB Lifeguard station, circa 1983 ? The lifeguards responsible for the lives of 20 million-plus beachgoers along San Diego’s 17-mile coast who made more than 5,000 water rescues in 2013 are asking for a little more than $5 million over the next five years from the city during budget deliberations. Wurts’ recent budget proposal to the city asked for about $5.28 million over the next five years. This includes $1.77 million in fiscal year 2014-15, to add personnel and address maintenance and equipment needs. For balance of article, go to sdnews.com . If you’ve ever been on a bike in Mission Valley going east through Fashion Valley, you invariably had to decide whether to continue on the usually muddy dirt paths under the 163 freeway or not and risk who knew what. But no longer. A new segment of the San Diego River Trail has had a path extension that goes underneath the freeway. You can now ride along the San Diego River from Ocean Beach to the 805 without having to deal with what may be the most congested traffic area in the city. The bike path connection is part of the city’s master bike plan to get more people out of cars and riding bikes – either to work, or for pleasure or exercise – and to see that the river is a natural amenity. It’s not a long path, only a quarter mile, but it closes one of the key gaps in the vision to connect the ocean with the mountains on a bike, or as a hiker. The $1.8 million to complete this quarter mile section with pavement, lighting and safety features came from transnet funds through SANDAG. A recent study says about a quarter million San Diegans would bicycle, at least occasionally, is they could do so safely. The most common problem is the lack of continuous and connected bikeways to the city’s various destinations. I Love A Clean San Diego’s (ILACSD) signature event, the Creek to Bay Cleanup, is gearing up for its 12th installment on Saturday, April 26 to help restore the pristine nature of the region’s waterways and beaches. The event will run from 9 a.m. to noon as part of the national Great American Cleanup, including cleanup sites in Ocean Beach, Pacific Beach, La Jolla, Mission Beach and Mission Bay. Thousands of volunteers will gather at more than 90 coastal and inland sites around San Diego County to help preserve the local environment by cleaning and beautifying these outdoor areas. At the Creek to Bay Cleanup, cleanup sites will include beaches, bays, canyons, creek beds and urban areas throughout San Diego County from Oceanside to Tijuana, as well as Ocean Beach to Alpine. While beach and bay locations are always popular for participants, ILACSD organizers point out many other inland locations are in desperate need of help, too, because there is a strong emphasis on protecting inland communities and preventing marine pollution before it reaches local waterways. 13th Annual Point Loma Garden Walk Set for Saturday, April 26 from 10 a.m. to 4 p.m. This event is a self-guided tour of eight private gardens in the Fleetridge area of Point Loma. There is also a garden boutique featuring local artisans. Presented by the Dana Unit of Rady Children’s Hospital Auxiliary, the event raises proceeds to benefit the Craniofacial Services Unit. Highlighted will be a special Diamond Tour, with transportation provided and a gourmet lunch served in a beautiful private home not on the regular tour. Tickets are $25 at Walter Anderson’s, Armstrong Garden Center, Ace Hardware and other locations. For more information, visit www.pointlomagardenwalk.com. 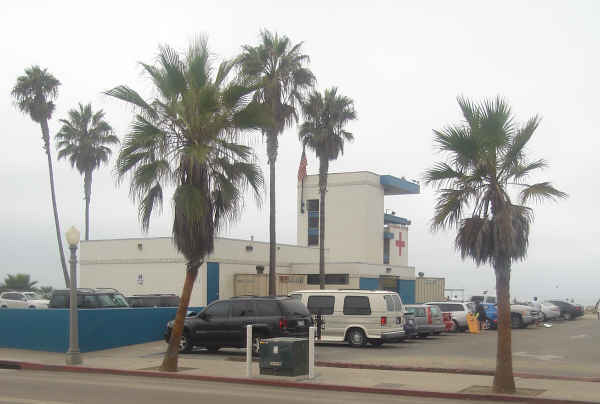 The old police trailer in the Ocean Beach Pier parking lot that has caused much controversy over the past couple of decades was replaced with a new smaller unit on April 10, courtesy of the Ocean Beach Mainstreet Association. A small contingent of neighbors complained that the trailer was blocking their view of the ocean from Surf Alley since 1999. SDPD Lt. Natalie Stone said, “A new permit from the San Diego Development Services is allowing us to keep the trailer there until at least 2019…. Next week, signs will be installed on the trailer stating that it is for police use. Police phone numbers will be posted and skirting will go around the trailer to cover the exposed tires. “Reactions have been positive from onlookers this morning,” said Lt. Stone. Also attending the removal of the old trailer and placement of the new one was Sgt. Jack Knish and new Western Division police captain David Rohowits. 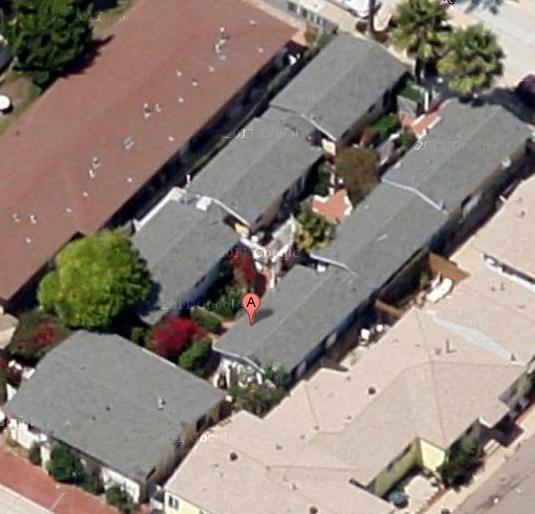 Although Rohowits was raised in Los Angeles, his parents grew up in O.B. 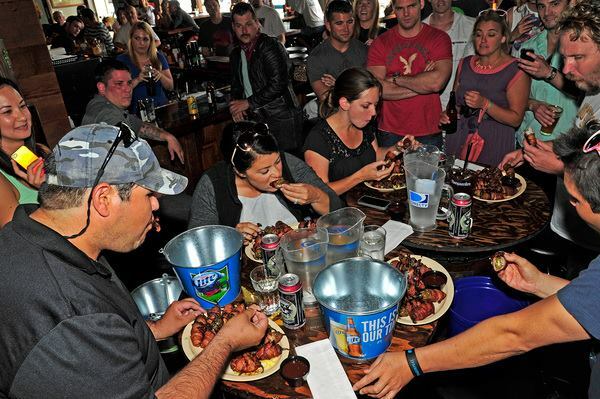 Support local businesses by participating in OB’s Restaurant and Hospitality Week April 27 – May 4th. Visit our local hotels and dine in our local restaurants – proceeds will go toward scholarships for local students! There’s debate over who will control the Dana Middle School baseball field as it undergoes a $2 million renovation. NBC 7’s Gene Cubbison explains the inside baseball. A modern-day “Field of Dreams” is being planned for youth and adult baseball teams in Point Loma — with help from a big-name retired major leaguer. But city officials are looking to block the plate. The showdown, headed for the City Council next Tuesday, is over a campaign to renovate the baseball field at Dana Middle School that serves as home venue for the Point Loma High School baseball team. The San Diego Unified School District owns the land and will bankroll the project. But there’s a hang-up involving the underlying property, David Wells Field, named after the retired major league pitching star who’s a graduate of Point Loma High, an assistant baseball coach there and a heavy hitter when it comes to upgrading the program. The city of San Diego has a joint-use agreement with San Diego Unified for 7.3 acres on the Dana campus, encompassing two baseball fields and paved playground areas. The district wants to work with Wells – affectionately nicknamed “Boomer” — to upgrade his namesake field with money from Prop. Z school bonds, and change the joint use agreement so as to control and oversee the 3.5 acres comprising Wells Field. But to the city, it’s a loss of vital acreage from an inventory that officials say already has a 78-acre “deficiency” of “population-based” parkland in the Peninsula Community. The Park & Recreation and Development Services departments are advising against the arrangement. Activists involved in the proposal are pushing back with arguments challenging city staff’s zero-tolerance stance on the joint-use amendment. “We’re surrounded by the beaches and Robb Field and regional parks and resource-based parks which are a benefit to our community,” says Point Loma resident Byron Wear, a former City Council member and longtime PLHS booster. “So these park standards really don’t make sense in their application. It’s more of a technical, bureaucratic kind of a situation. PLHS baseball coach Joe Radovich says Wells Field is long overdue for a major makeover, starting with artificial turf and state of the art-irrigation. Radovich noted that seating will be expanded, the outfield fences will be moved in, surrounding windscreens will be installed, and other upgrades will include overhauls to batting cages and pitching mounds. Not sure what parking lot or trailer Mercy was looking at , but the new trailer still takes the same amount of parking spaces, still blocks a PUBLIC view, still violates state law as stated in the violation notice from the coastal commission. Illegal means illegal, the city decided to ignore state law. it’s up to the coastal commission to enforce the law. The trailer is 2 1/2 ft taller than the trailer described in the permit. Homeless fill the parking lot and boardwalk surrounding the trailer, what police presence was Lt Stone talking about ? has anyone walked the boardwalk or beach at 6:am ? FREE LODGING, PROTECTED BY SDPD. Parking lots full of people living in their cars contrary to local code , why ? SeaWorld is a more universal topic than OB news. It would be nice if more people cared about the police trailer. It’s been an eyesore and ineffective for fourteen years now. The OBMA is not beautifying the beach front by leaving a construction trailer down there permanently. The police are not showing a presence by having a storage locker that eats up parking spots. Glad to finally see the crosswalk in at OBE – it’s been a long time coming. Big thanks to the folks who’ve manned an improvised crossing for the last few years as well. Man, those Brighton cottages – lots of good times staying down there in the late ’90s when they were vacation rentals before I moved to town. Not touching the police trailer angle with a 10 foot pole…I think by now we all know where everyone stands. The field at Dana is a disaster, as I discovered setting up the jog-a-thon course a few months back. Any improvement would be welcome, I’m sure…but if they’re going to Astroturf I’m not sure why they need irrigation upgrades. Dave R – the “circa 1983” is meant for the lifeguard station. It’s been an eyesore and ineffective for fourteen years now. Thanks everyone for your expressions of appreciation. Means a lot to our slim staff – and I’m not talking about their waist lines. Ya just can’t get the uber-local news like this anywhere else. And many of our readers do show their appreciation by sending in contributions. We have a number of supporters who send us $10 a month. Plus we’ve expanded our advertisement base somewhat recently. Could always stand some more support from local merchants. An agreement to pave the way for $2 million renovation of a baseball field in Point Loma got unanimous approval from the San Diego City Council Tuesday. The Council voted to turn the field at Dana Middle School over to the San Diego Unified School District, from the city’s Park and Recreation Department.